Brazilian technology was implemented in Jakarta, capital of Indonesia, in April 1989, and works were completed in a record time of eight months. 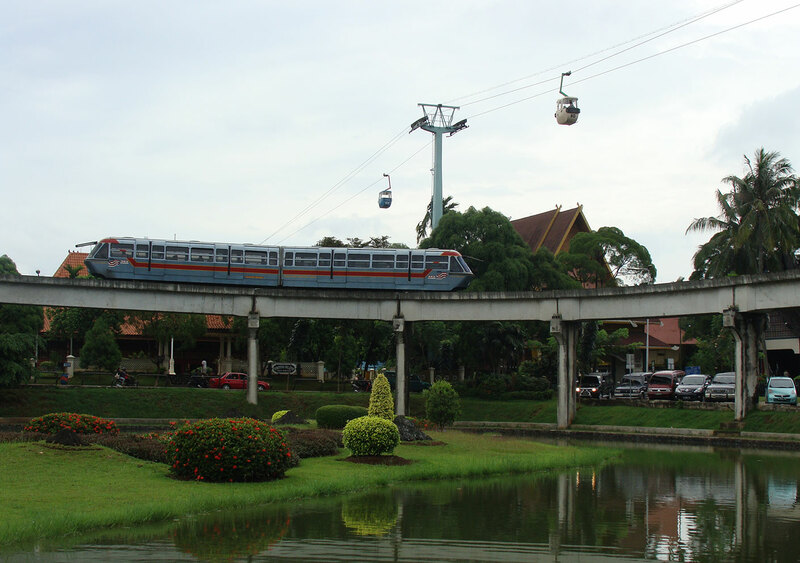 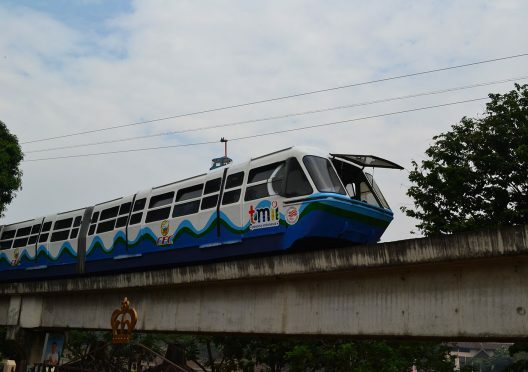 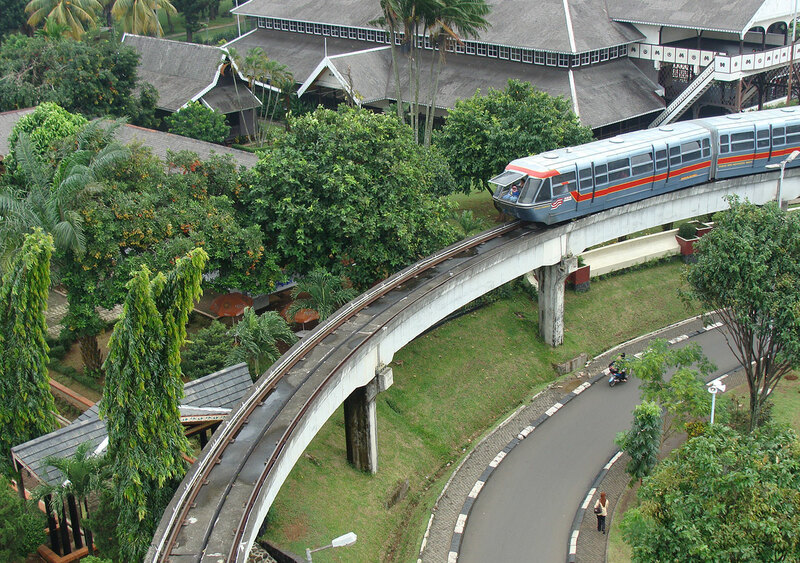 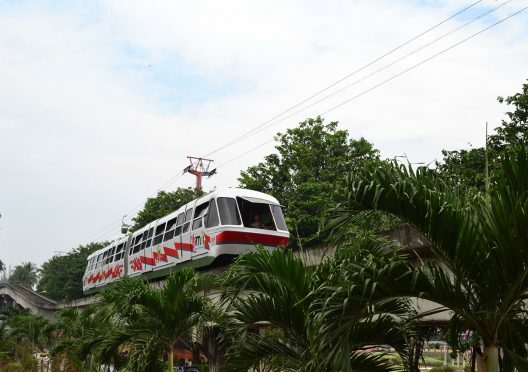 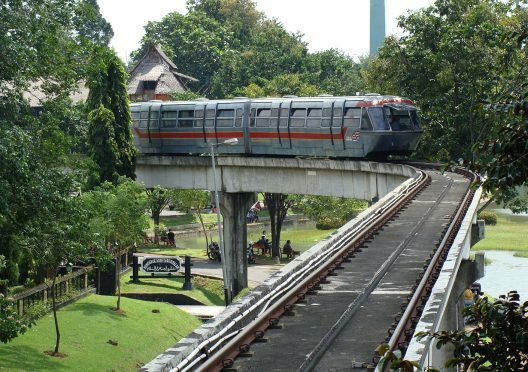 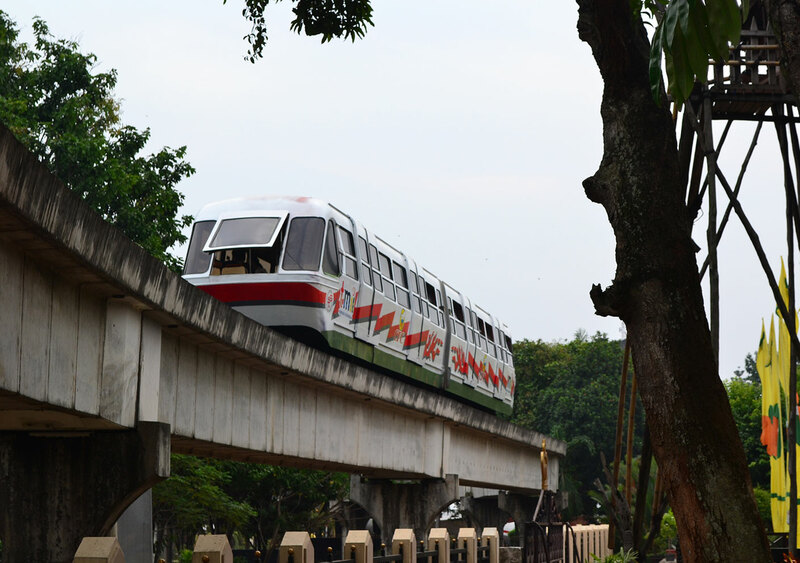 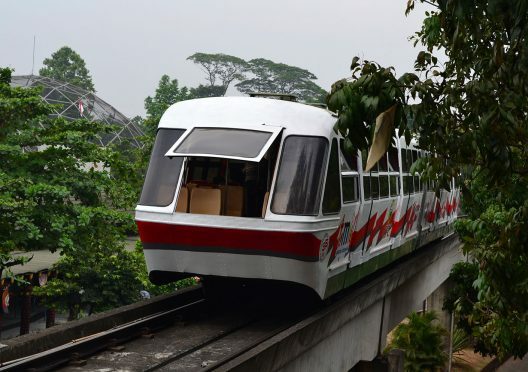 Soon, the Aeromovel was consolidated as a means of transport of a tourist area within the city, located inside the Taman Mini Indonesia Indah theme park. 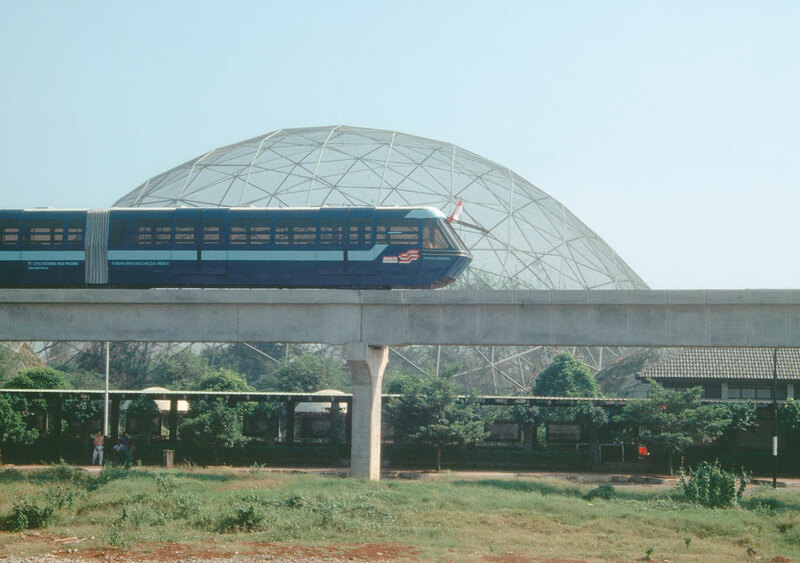 This was the System's first commercial operation, which made of Brazil a benchmark in Aeromovel technology. 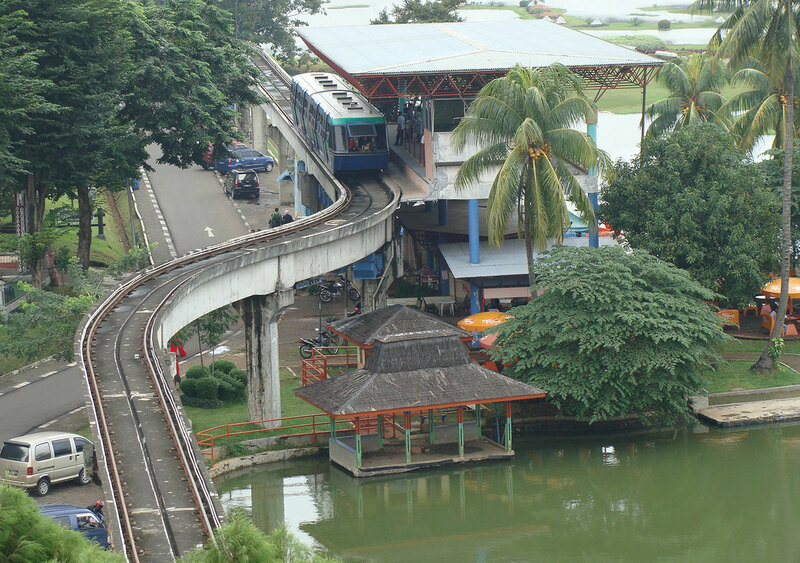 The System in Indonesia is expected to expand. 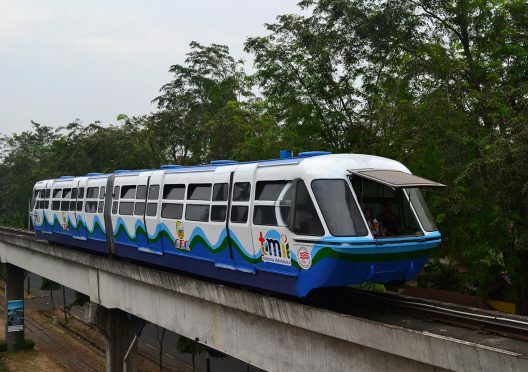 In an interview with engineer Ontoseno Soekotjo, he speaks of his experience getting a close up look at the Aeromovel, in Brazil, and discuses the development of the technology expansion project in his home country. 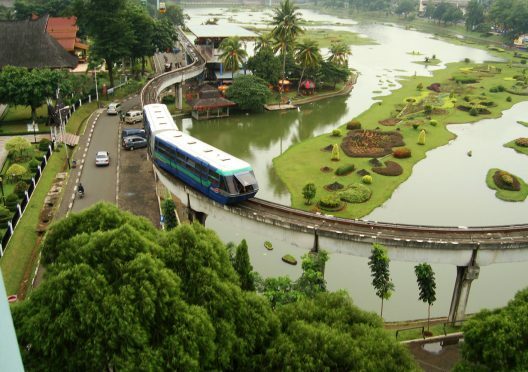 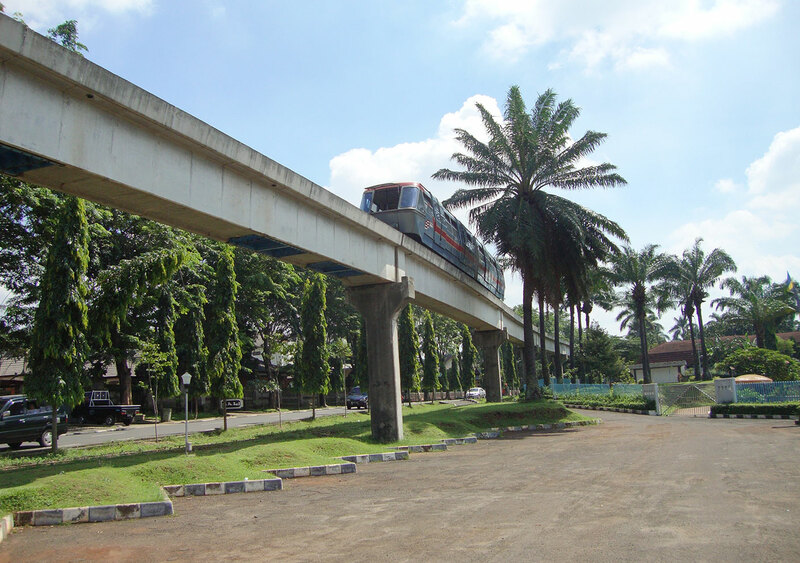 Now, the city of Bekasi, located in the metropolitan region of Jakarta, is studying the implementation of a 12 km line, similar to that being constructed in Canoas. 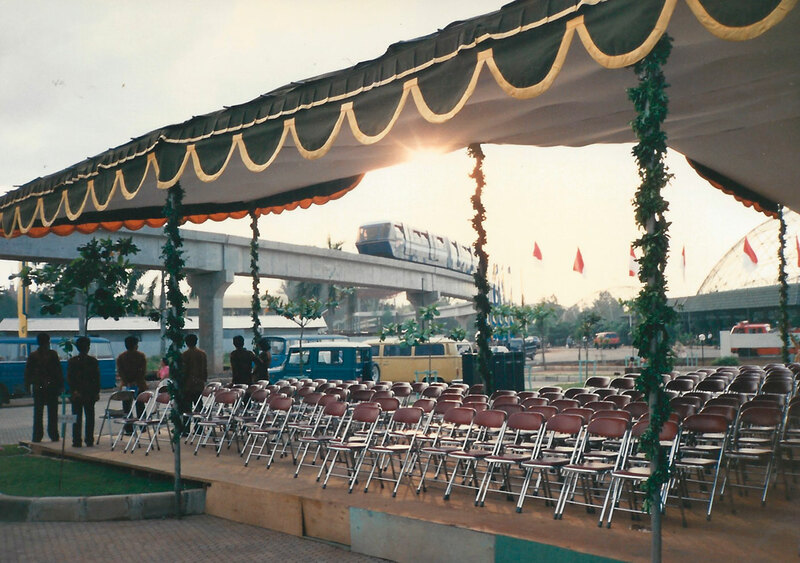 The System operates with three vehicles along a circular line of 3.2 km extension, passing through four active stations. 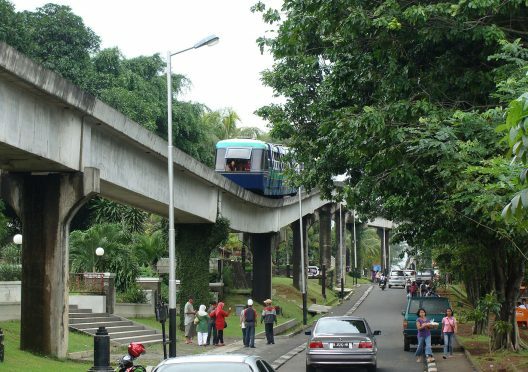 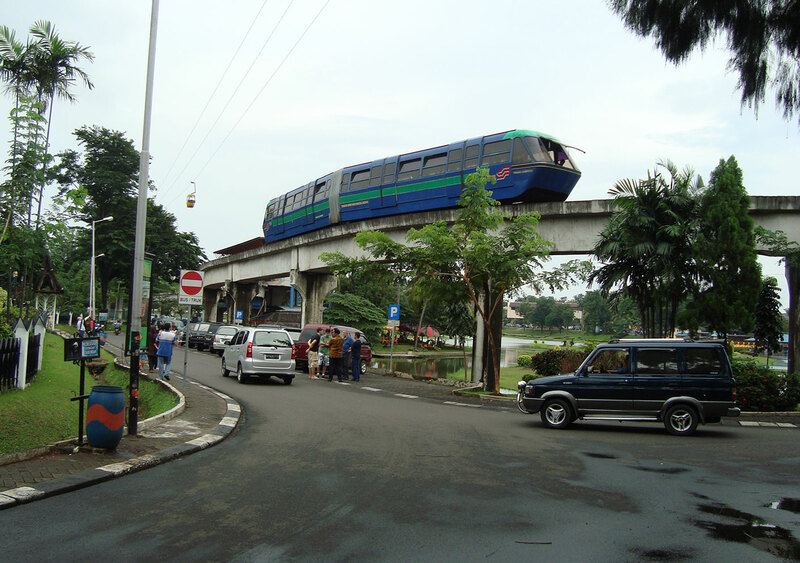 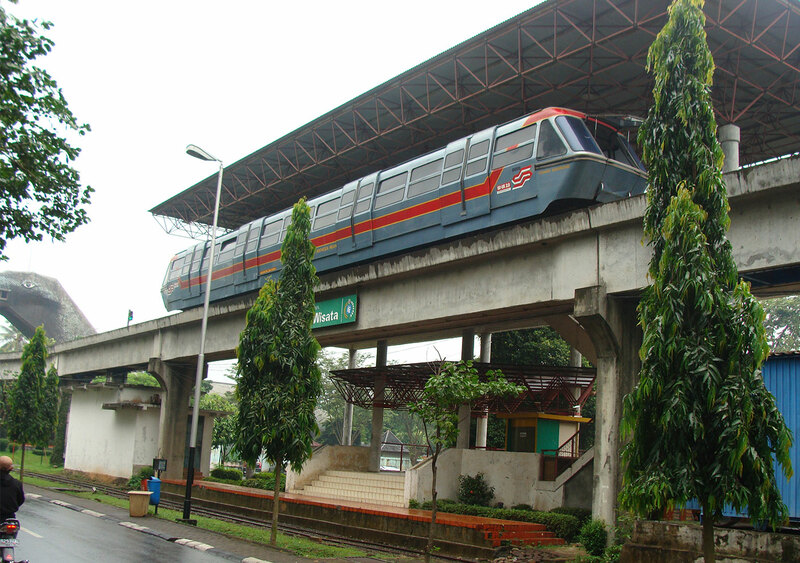 The Aeromovel in Jakarta is an example of self-sufficient transport operation. The System runs without the need of financial subsidy, as the revenue resulting from the fare charged totally covers the operating costs, including employees’ wages, materials and supplies. The project complies with Asian seismic prevention standards safety against seismic tremors. 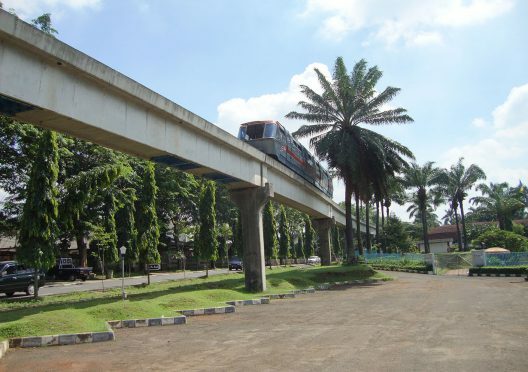 For such, it features 73 different types of beam geometry with 46 variations in its structure, such as in spans and vertical and/or horizontal bends. Everything is grouped into 22 different structural designs. 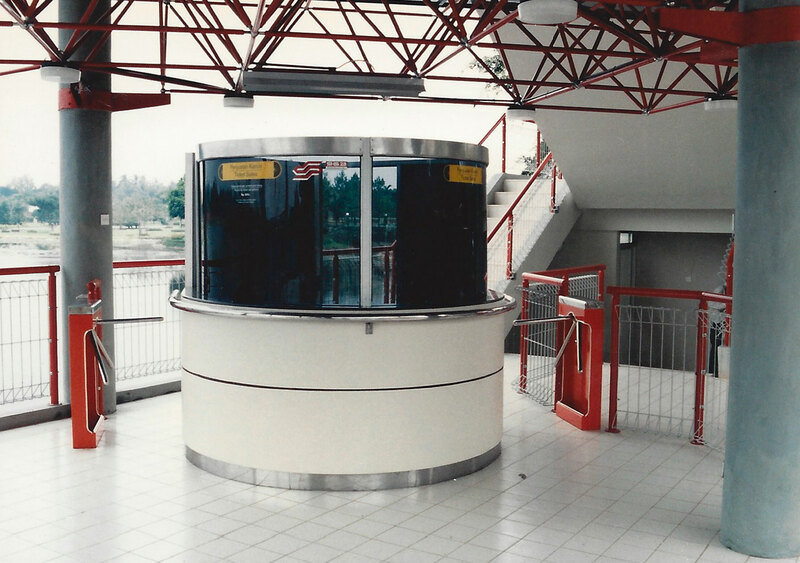 Click here to download the PDF for this project.